The probe, sent as payload on the Changzheng launch vehicle which blasted off from Xichang Satellite Launch Center in Sichuan Province on December 8, is expected to orbit the moon for two weeks before it lands at the Von Karman crater at the South Pole-Aitken basin, one of the largest known craters in the solar system, and considered a key location to help solve the mysteries of the moon, such as its composition and structure. disturbance. The probe also contains potato and rockcress seeds and several silkworm eggs to test if living organisms can survive. China already launched a relay satellite called Queqiao (Magpie Bridge) in May to ensure communication between Earth and the probe. It is the world’s first communication satellite to be deployed at the second Lagrangian point 1.5 million kilometers from Earth, where a small object keeps relatively static under the gravitational forces of two big objects. Here, Queqiao orbits the Earth at the same speed as the moon and it also has minimal impact from Earth and its own satellite, which helps save energy. China has been working on lunar exploration since 2004 and listed it as one of 16 national scientific projects in 2006. 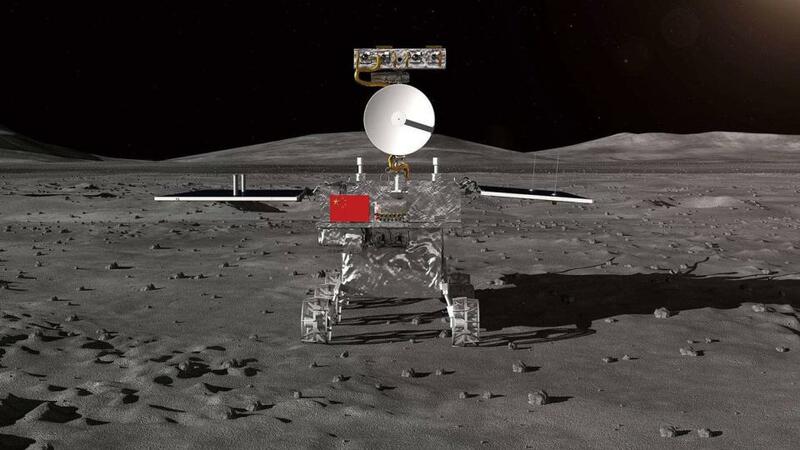 From 2007 to 2013, China launched three Chang’e probes, and landed the Yutu (Jade Rabbit) lunar rover on the surface of the moon in December 2013. China is aiming to return samples of moon rock to Earth, send a manned mission and eventually establish a moon base, media reported.